Owing to a highly efficient brushless motor and high power MULTI VOLT battery, this tool provides smooth cutting like a corded tool with fine finish. The values are for reference purposes and may vary according to the materials and working conditions. 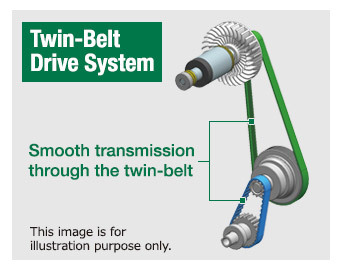 The industry's first*2 twin-belt drive system that offers low noise and comfortable cutting without any impact or vibration caused by gear abutment. As of December 2018. 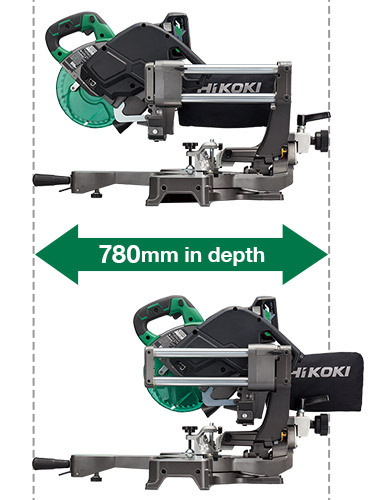 Among 185mm cordless slide compound miter saws made by leading power tool manufacturers while cutting in 2X10 SPF at bevel angle of 0°. (Survey by Koki Holdings) The value may vary according to the working conditions. 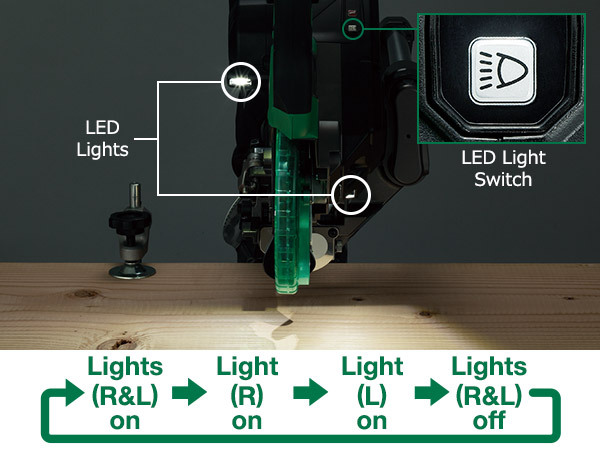 Prevent users from being inconvenienced by lights during operation or while carrying the tool. The lighting mode can be changed for different applications. 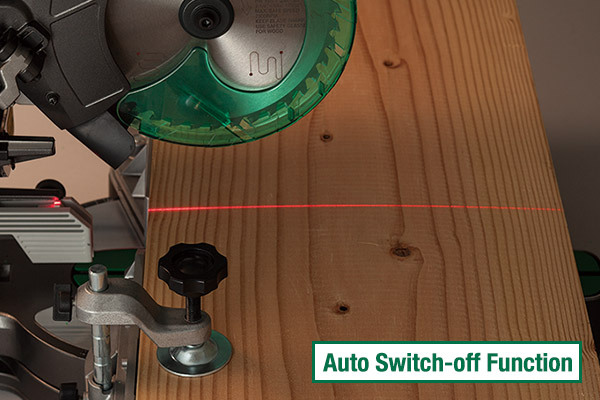 Enables rapid cutting various materials including floor board without the need of rotating the workpiece. 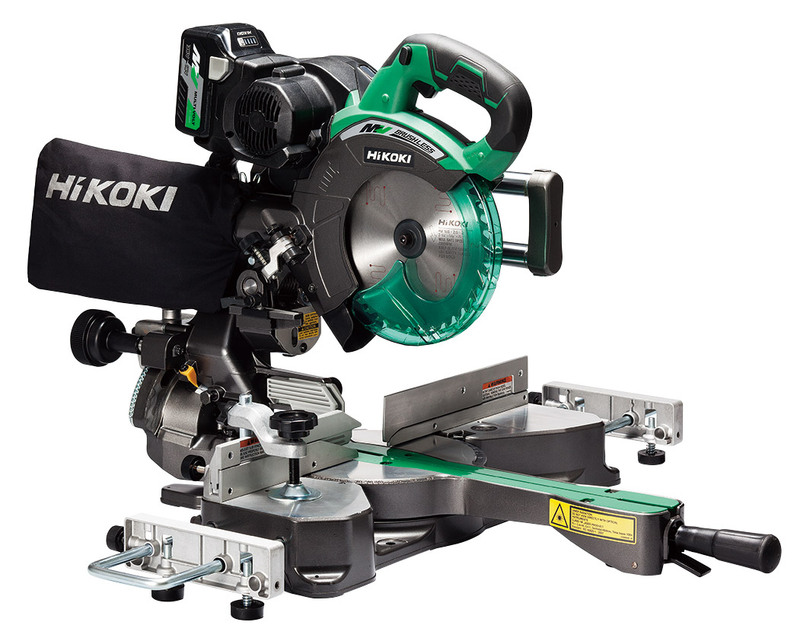 With a motor head that slides along the fixed rails with zero rear clearance, this system provides large cutting capacity in tight spaces or when the tool is placed against a wall. 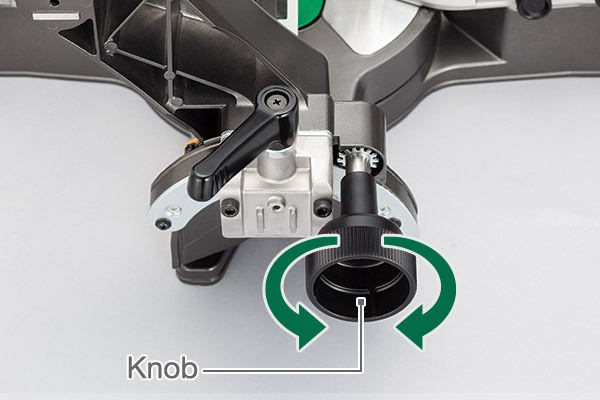 Accurately sets the bevel angles by turning the knob while holding the motor head which is half-locked at the desired angle. 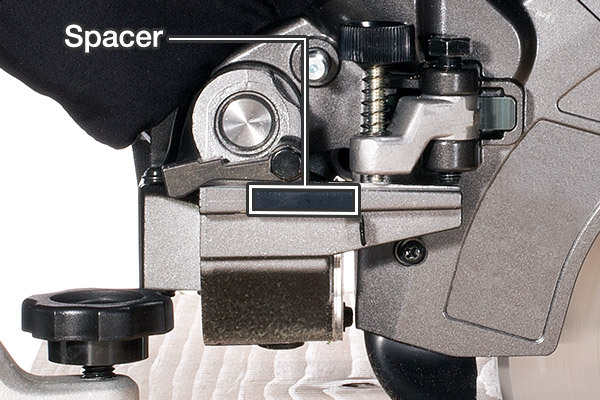 A spacer enables shallow groove cuts to minimize burrs on the materials when making slide cuts. Max cutting capacity when an auxiliary board is mounted on the fence. When cutting a workpiece that exceeds the max height above, adjust the lower limit position so that the base of the motor head will not come in contact with it. Weight according to EPTA-Procedure 01/2014. Standard accessories vary by country or area.